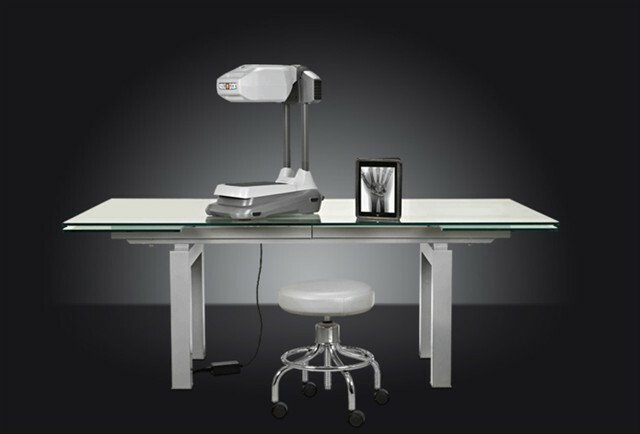 Demo Model (2014) Mini C-Arm that sits on a tabletop. 6-inch Flat Detector. Also includes Accessory Cart, 20.1 inch Flat Panel LCD Monitor, Foot Switch.